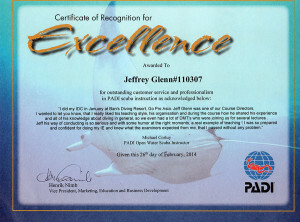 Jeff Glenn is a PADI Course Director, a TecRec Instructor Trainer and a TDI Instructor Trainer to Advanced Trimix.. He is also a TDI Advanced Wreck, TDI Full Cave and JJ-CCR/SF2 CCR Instructor. He also has the illustrious rating of RAID Instructor trainer as well. Three Instructor Trainer ratings with 3 of the largest Dive Agencies on the planet. 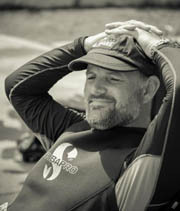 Easily one of the most qualified PADI Course Directors in Asia. 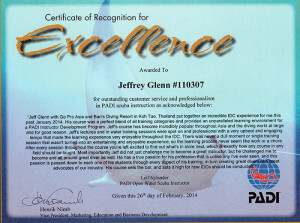 Jeff is one of the most experienced and active instructor trainers on Koh Tao having mentored hundreds of divers and instructors during his career with his students having a 100% success rate on their Instructor Exams (IE). 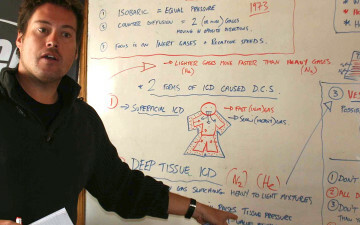 Jeff’s qualifications put him into a very elite category of dive educators world wide that hold both a TecRec Instructor Trainer and TDI Instructor Trainer ratings. This level of experience and expertise will ensure you will receive the most comprehensive recreational, professional or technical training available. 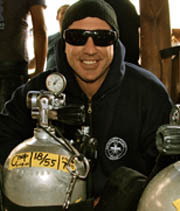 Jeff has been diving since the early 90’s, starting his professional career as a PADI Divemaster in Airlee Beach, Australia and has logged thousands of dives world-wide. 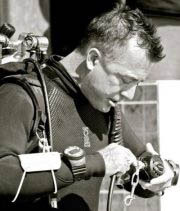 Jeff has focused the last 15 years of his career on professional and technical diver and instructor development and is extremely passionate about technical diving in particular. Jeff is a proud Aussie. Hailing from Queensland’s Gold Coast. He’s an avid surfer and loves photography and travelling. Jeff has been part of the dive industry for well over 20 years and has been blessed to have worked and dived in some of the most awesome locations around the world including the magnificent Great Barrier Reef, the Wrecks in Malta, Cave diving in the Cenotes’ of Mexico, Whale shark safari’s in the Sea of Cortez, Mexico and has led live-aboard expeditions in Raja Ampat and thru the amazing reef systems of Micronesia and of course, the tropical waters of his base here in Thailand. 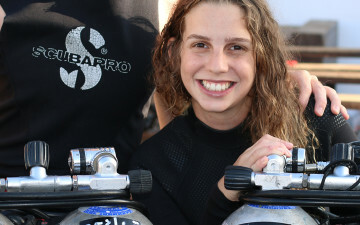 Jeff’s love for technical diving has taken him on some of his most rewarding journeys. Jeff has dived to sub 100m over 50 times and has a open circuit depth record of 180m he achieved a few years ago in Dahab, Egypt. 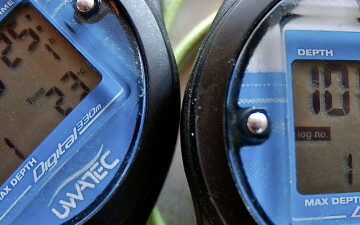 In 2014, Jeff was the deep support diver for Will Goodman’s successful CCR world record attempt to 300m. 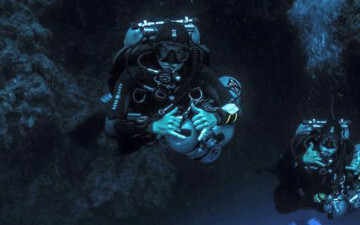 During the training dives with Will before the attempt, Jeff was able to dive his JJ-CCR to hit a personal depth record of 200m. Jeff has also led an expeditions to the bottom of a cave system on mainland Southern Thailand in Nakhon Si Thammarat and hit the end of the line at 177m. 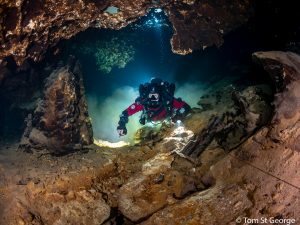 But it’s not all about the depth, with some of his most memorable experiences being in the shallow cenotes of Mexico and exploring the amazing cave systems there for hours on end using his JJ-CCR or his Xdeep or Razor Sidemount units. 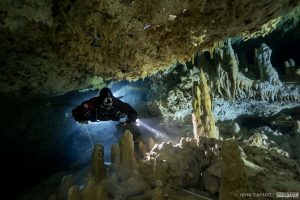 Jeff just finished a month of cave diving in Mexico and completed his CCR Cave diver course and PSAi Cave sidemount program with the boys at ProTec. 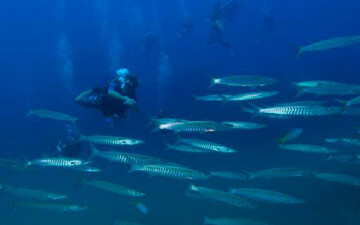 As an avid wreck diver, Jeff has had some fantastic journeys diving the historical wrecks in Malta, exploring the Japanese Hell ships sunk in the Gulf of Thailand and led expeditions thru the vast Japanese fleet sunk in Truk lagoon. 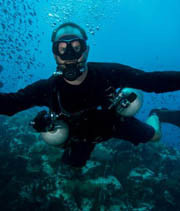 Jeff has lately been working with BBC as a support diver as they travel thru South East Asia filming documentaries for their BBC History channel. 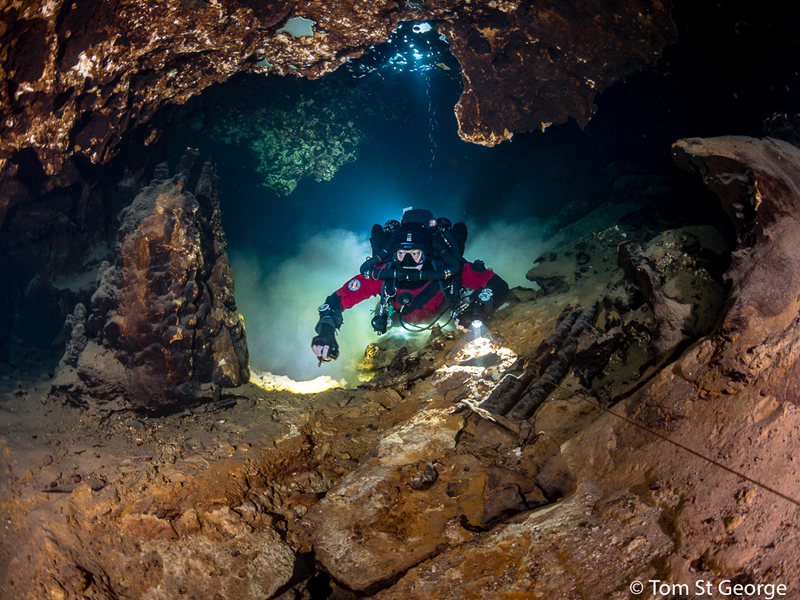 Coming up for Jeff, another expedition to unexplored cave systems in Raja Ampat and I’m hoping to visit the nordic regions and dive the flooded mines of Finland and Sweden sometime in the future. March of 2018, Jeff will be taking hid rebreathers and diving the famous Truk Lagoon’s wrecks sitting in the 50m to 80m range. 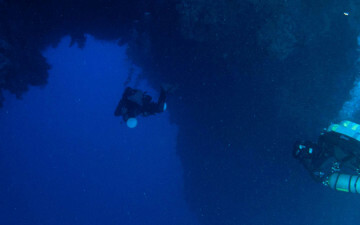 these wrecks are nearly never dived and are in pristine condition. 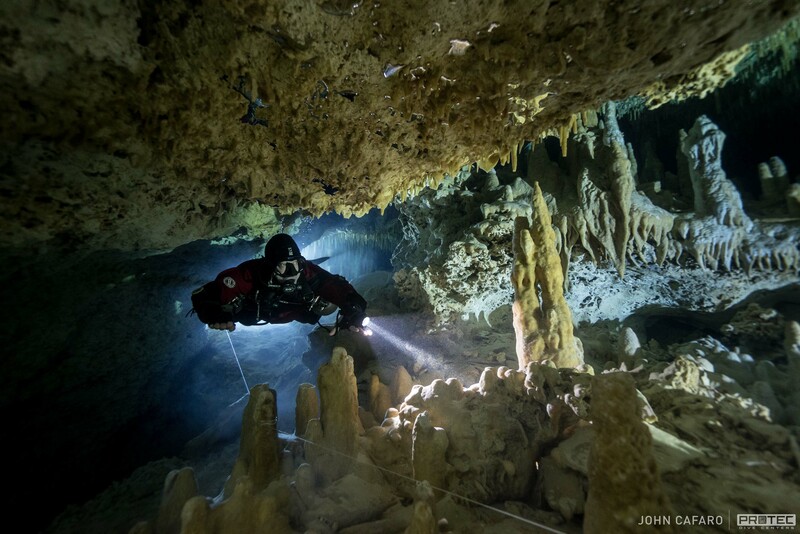 And if theres money left over, another trip to the Mexican Cenotes to satisfy the love of cave diving. When Jeff isn’t involved with diver education, he likes to spend time with his young family, play a round of golf with his mates, oversee proceedings in his own sports bar he established in 2003. Choppers Bar and Grill is a two story entertainment venue, one of Koh Tao’s more popular hangouts with live sport, live music and a great menu. (www.choppers-kohtao.com). Or he’s sleeping. Go Pro Asia would like to welcome Guillaume Fargus to our Instructor Development team. Guillaume brings years of experience and knowledge to to GoPro-Asia and it’s a pleasure working with such an accomplished Course Director. Here’s a little more info about Guillaume. 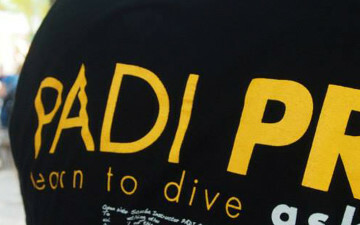 Guillaume is a Platinum PADI Course Director originally from Paris, France. Nicknamed “G” by those who can’t pronounce is name (guee-yome), he spent part of his childhood near Detroit and speaks with an American accent that has mislead many people in the past! 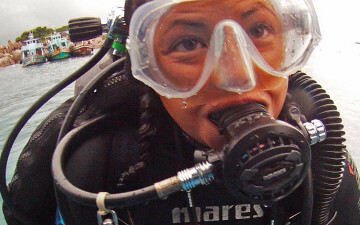 He took his first dive nearly 20 years ago in the cold waters of Northern France. Seeking warmer climates and more colorful seas, he got certified on the Great Barrier Reef. Diving became a passion very quickly and on every holiday following this trip, he explored the oceans of Europe, Egypt, Asia or the Caribbean. At that point, working as a management consultant in Paris, Guillaume realised that he was spending more time staring at his tropical fish screensaver than preparing Powerpoint presentations and decided to pack his diving gear and a pair of boardshorts and headed to Thailand. The beginning of a new life. For over 5 years, Guillaume worked as a PADI Instructor on various dive centres of Koh Tao and trained many students from Open Water Diver to Divemaster. 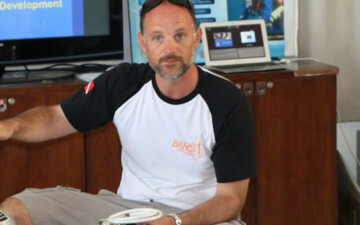 He has been running the IDCs at Ban’s Diving Resort for the last 3 years, teaching both in French and in English. 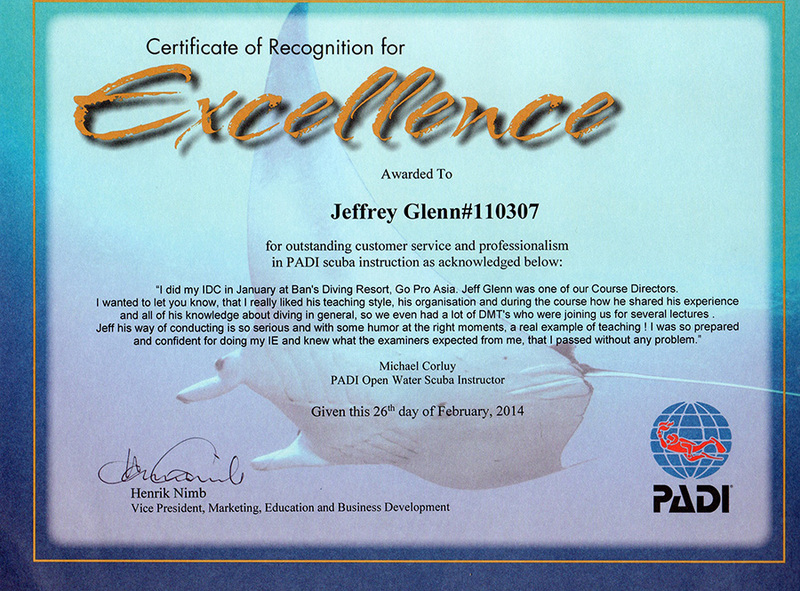 With over 600 pro level PADI certifications, he was awarded Platinum Course Director in 2011 and 2012. He is also involved in many eco projects on the Island and represents Save Koh Tao, our local environmental association. With a passion for diving and a great experience in teaching at recreational and professional level, Guillaume is acknowledged for getting the best out of the students he works with. Early 2012, he appeared in a 8 minute documentary named “Occupation : Life Changer” on French national TV.